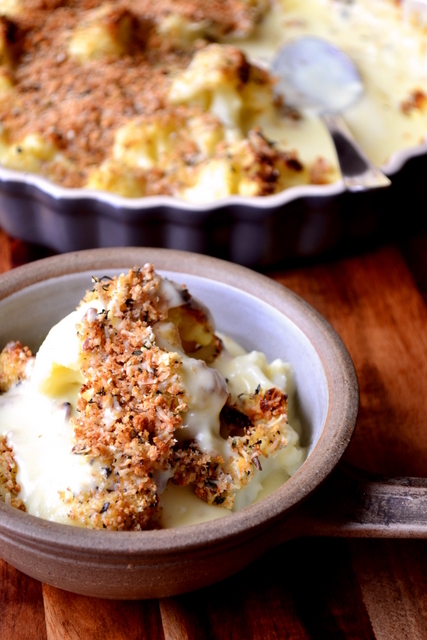 Traditionally, cauliflower cheese is boiled cauliflower served with a relatively light and basic cheese sauce. That is how cauliflower cheese has always been served by my mother. I prefer to use a few well-placed additions to “tart” things up a little. Serving this British classic with an oven-cooked topping of breadcrumbs, parmesan and thyme elevates it from a simple side dish. This is one recipe for cauliflower cheese that deserves to be eaten as a main with sides of its own. If there’s one thing that my blog has taught me over the course of the past few weeks, it’s that almost every ingredient can be enjoyed by all, if only it’s prepared in an attractive manner. For instance, my recipes for roasted sweet potato and parsnip soup and root vegetable mash have already proved that parsnip can be enjoyable. Likewise, this soup recipe has largely transformed my once obnoxious attitude toward the cauliflower. The main suspect in the case against the cauliflower is the somewhat ubiquitous cauliflower cheese. You see, this loathsome dish tends to be one of two things; insipid or watery. However, it could be considered somewhat brutish to judge what was once my least favourite brassica, by a largely awful dish. 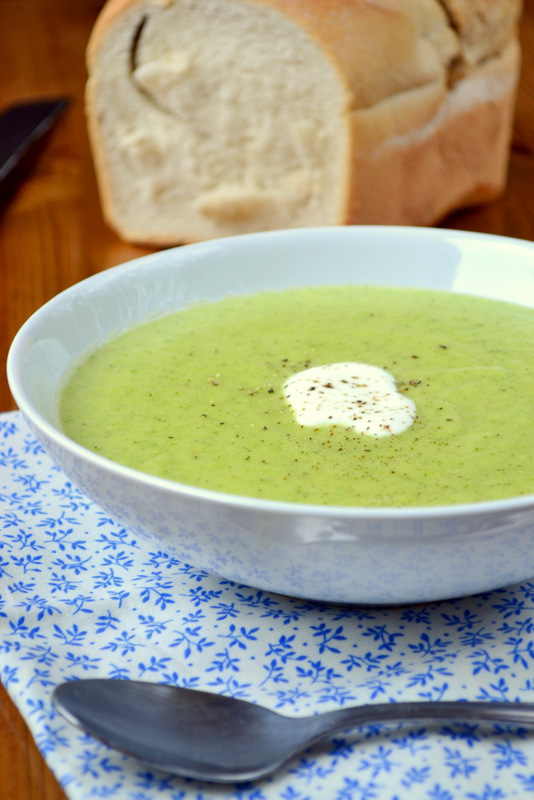 Instead, why not follow my lead and enjoy the poor vegetable in this exquisite soup?